The following providers offer a range of options that vary in terms of development effort required. Payment Processors provide a simple and quick way to begin accepting payments without any development skill required. Custody and API Providers enable blockchain interactions typically used by larger merchants and service providers. Payment processors make it easy to get started! A range of solutions are available for both online and point-of-sale platforms. Alt Thirty Six allows any business (including those involved in cannabis) to accept digital payments at the point of sale and online using Dash or USD. Anypay offers easy, professional tools for retail, as well as Dash rewards for users shopping at your store. Anypay is totally free and works in all countries. BTCPay Server is a free, self-hosted and fully open-source cryptocurrency payment processor designed with security, privacy and censorship-resistance at its core. CoinGate offers point of sale apps, payment buttons, e-commerce plugins and an API to accept payments in Dash, with payouts in EUR, USD or Dash. CoinPayments is an integrated payment gateway with a wide range of plugins available for popular webcarts, as well as fiat settlement in the US and Europe. CopPay allows you to accept Dash and receive EUR, GBP and USD, eliminating volatility risks. CopPay is absolutely free with 0% transaction fee for merchants. 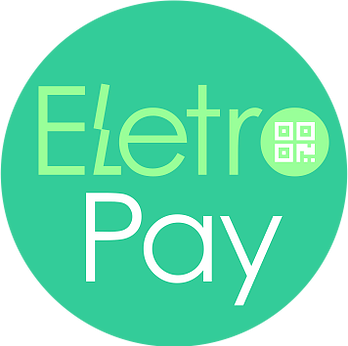 EletroPay is a hardware point of sale device with a ePaper display and built-in receipt printer designed to bring businesses into the digital economy in style. ePaymints specializes in highly customized payment processing for high risk merchant accounts in industries challenged with high levels of chargebacks. The GoCoin platform makes taking Dash as easy as installing a plugin. Payment processing is already implemented for every major shopping platform. Paytomat provides software for integration into existing merchant systems without the need to purchase additional hardware or install third-party software. QR.cr is a dynamic QR code system designed to provide multilingual content and payment services for businesses via mobile friendly landing pages. The Salamantex crypto payment service is available as a hardware terminal or software for installation on existing POS systems or mobile devices. Spark is simple, 100% open source software for accepting Dash payments. Designed from the ground up to be familiar, all keys and funds remain in your control at all times. “Cloud Infrastructure” providers enable direct access to the blockchain in order to fulfill a variety of operational requirements. These services are typically leveraged to eliminate the requirement of running your own server to support blockchain interactions. BitGo provides a simple and robust REST API and client SDK to integrate digital currency wallets with your application. InstantSend is fully supported. Features: Multi-Signature HD Wallets, Custody Solutions and Wallet Operations. BlockCypher is a non-custodial, REST API and client SDK for interacting with blockchains. Features: Transaction Building, Address Generation, Event Notifications, Payment Forwarding. ChainRider is a non-custodial cloud service providing a set of REST APIs for digital currency management and exploration. InstantSend is fully supported. Features: Transaction Building, Address Generation, Event Notifications, Payment Forwarding, Smart Contract Integrations. The following resources are used to build custom integrations in a variety of programming languages. DashJ is a library for working with the Dash protocol in Java or JVM environment. It can be used for a variety of wallet functions including InstantSend. This library also includes an SPV implementation which allows for transaction verification in mobile applications. NBitcoin is the most complete cryptocurrency library for the .NET platform and includes support for Dash. It implements all most relevant Bitcoin Improvement Proposals (BIPs) and Dash Improvement Proposals (DIPs) and provides low level access to Dash primitives. DashSync-iOS is an Objective-C Dash blockchain framework for iOS. It implements all most relevant Bitcoin Improvement Proposals (BIPs) and Dash Improvement Proposals (DIPs). Bitcoin-PHP is an implementation of Bitcoin with support for Dash using mostly pure PHP. It implements headers, blocks, transactions, deterministic signatures and more. PyCoin is an implementation of utility routines that are useful when working with the Dash Protocol. It is frequently used alongside Python-DashRPC and has been tested with Python 2.7, 3.6 and 3.7.